Alibaba announced its first quarterly earnings report since the company went public on the New York Stock Exchange in September. The company announced better-than-expected revenue, topping $US2.74 billion in the third quarter of 2013 — a 53.7% jump from the same period a year ago — but perhaps what’s most promising is the growth of Alibaba’s mobile business. 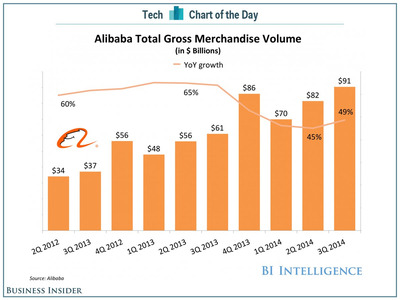 Based on company data charted for us by BI Intelligence, 35.8% of Alibaba’s gross merchandise volume of $US90.53 billion — or $US32.4 billion — in the quarter. That’s an increase of 14.7% from the same year-ago period, and up 32.8% from the last quarter. 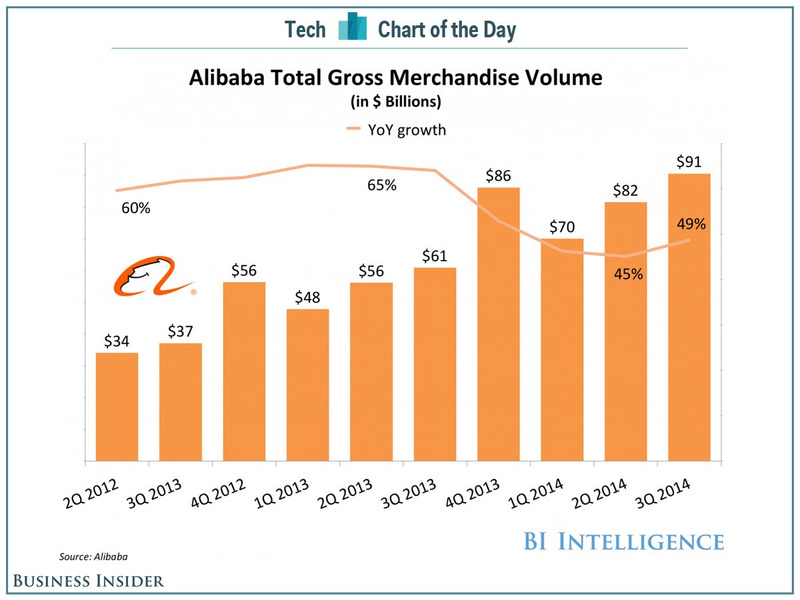 That’s coming from 307 million annual active buyers across all of Alibaba’s platforms; comparatively, eBay only reported 152 million annual active buyers last quarter.